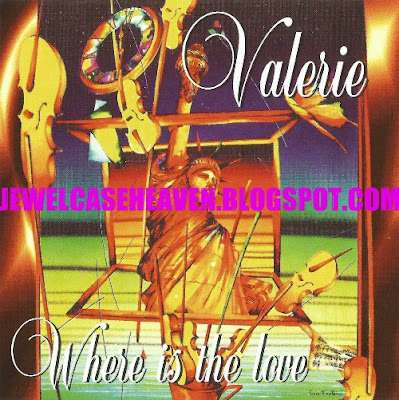 Great sounds from Hollywood, CA with Valerie, a soulful vocalist mostly known around collector's circles for her single "Crazy About You" which was released in 1997. I don't know anything about the artist but the label Kon-Kord Records had been active since 1979 and mainly focused on soul and blues music. Other artists on their roster that my fellow indie people may know include Serenade (male R&B group), M. Spivey, and Chazz Dixon. Sadly the above album seems to be pretty obscure with no mentions of it at all on the label's website (last updated in 2014) or anywhere else online. 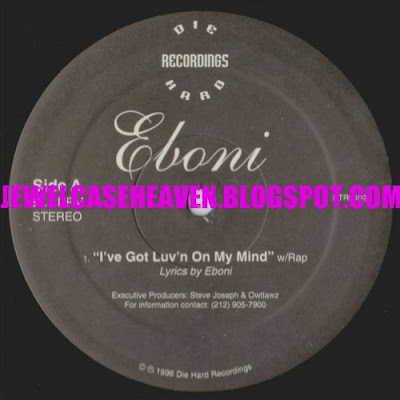 Though the front cover leaves a lot to be desired, is an array of many different styles not limited to contemporary R&B, funk, 80s hip hop and even a little new wave with sultry, soulful vocals. Though they share the same name, the above Valerie is a totally different artist to the gal I have posted here. Hailing from the greater Los Angeles area, slinky urban-pop fashioned to appeal to fans of Aaliyah, Brandy, Janet and others from the late 90s/early 2000s era. I don't know much about the artist but she does have a past profile on Sonicbids where her music is touted as "melt in your mouth" and "smooth and silky." The label is an obscure one as well with only one other release to their name, a G-Funk compilation "L.A Borderlines Volume 1." A further obscure trio from Glendale, California and who released the above single and one full-length album between 1993-1994. 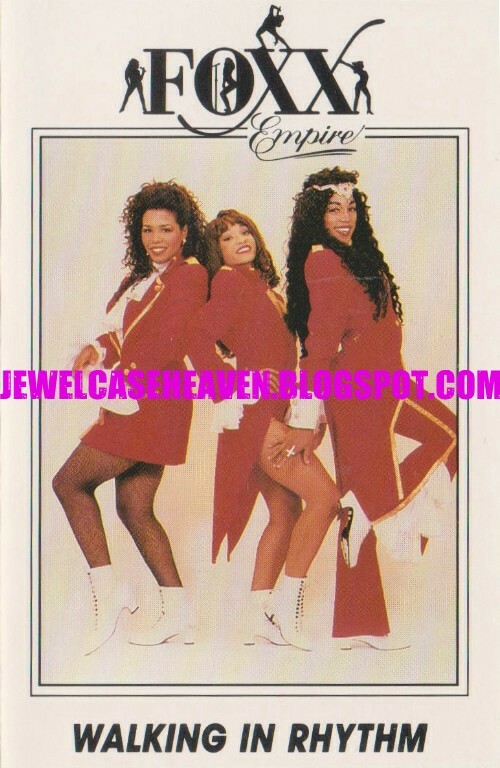 The song itself sadly is not R&B - it is very discoey - but the b-side track once again is early 90s New Jack Swing at its best. Both this and a remixed version of the single appear on their album which was released about a year later. 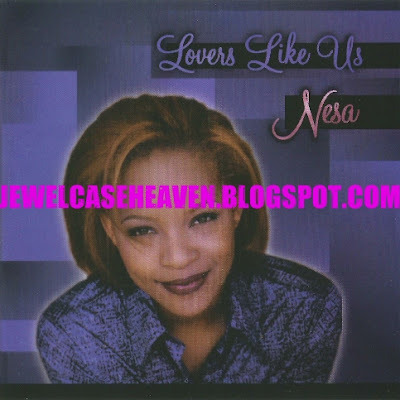 Continuing on with my on-going kick for obscure girl groups from the 90s and 2000s, here is a quintet from Columbus, GA that were managed by Chicago vocalist Vanessa "Nessa" Holmes (best known around collector's circles for this indie release here.) 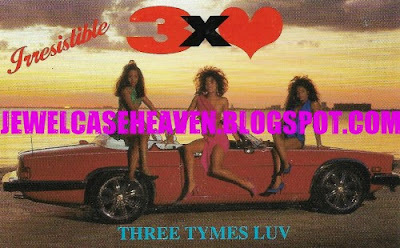 The track is a slow jam but the b-side "Apple Of My Eye" is a good representation of some early 90s New Jack Swing. Unfortunately I can find no evidence that their album T.A.K.E.N. (an acronym for their names Tasha, Amber, Kanetha, Evengeline and Nikitia) was ever released butmthe above set was re-issued as "In Harmony We Grow" on CD at some point shortly after. 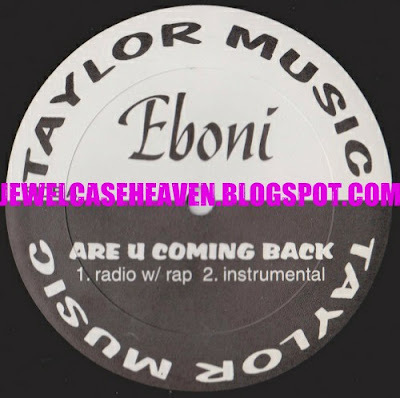 Second release from underground Washington DC artist Eboni and produced by Spencer Ballamy, formally a DJ with Howie Tee's "Count Disco" crew in the 80s. With a similar sample-rich sound as on her previous release, I am presuming it was recorded for her album Lessons In Love which was not released. The rap verse comes from T-Finesse of the NYC hip hop duo Owtlawz who, as far as I can tell, are unrelated to 2Pac's former clique of the same name. Released to coincide with the popularity of freestyling in the late 90s, this track got an honorable mention in Vibe magazine back in '96 where it was touted as having "more soul than Flyguy's shoes." It uses the instrumental from Smoothe Da Hustla's "Broken Language" and was produced by NYC hip hop duo Owtlawz (Hakim & T-Finesse/unrelated to 2Pac's former homies that have a similar name BTW.) She recorded a whole album, titled "Lessons In Love", but I don't believe it was ever released. She did however release an additional single "Are U Coming Back" via a different label the following year. 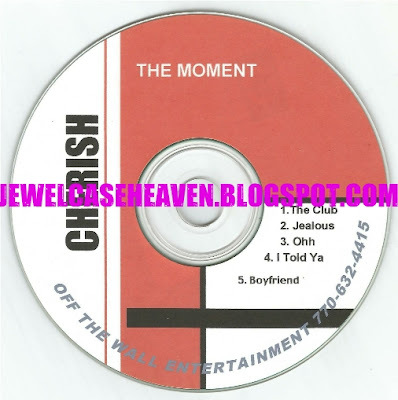 An early sampler of music from Atlanta R&B group Cherish which may or may not have been compiled before they were signed by Warner Bros. Records in 2003. Of the 5 tracks included, 4 & 5 went on to appear on the final track-list to their shelved LP The Moment while track 3 later made an appearance on Unappreciated in 2006. All sound finished and virtually indistinguishable from album versions. The remainder 2 are presumably demos and have never appeared on any album or leaked at all to my knowledge. There's no credits but track 3 was produced by ex-Hit Men Squad producer Adonis Shropshire and track 3 by ex-Kiara member Greg Charley. Again such a shame that this earlier work was not released. In my opinion, the more poppy stuff worked way better for them.